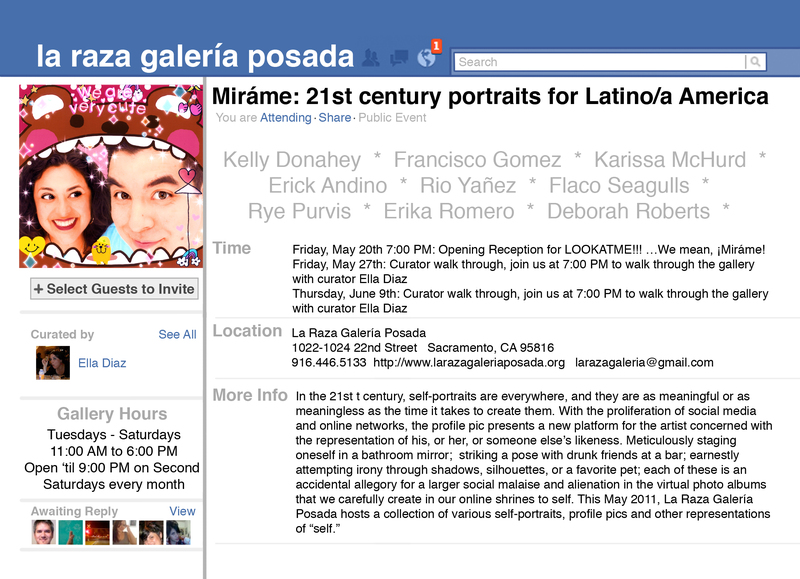 I’ll be in Sacramento this Friday for the opening reception of Miráme: 21st century portraits for Latino/a America curated by my homegirl Ella Diaz. It’s a show of self-portraits and artist facebook profile pictures, I’ll be exhibiting four large-scale purikura prints as part of it. In the 21st century, self-portraits are everywhere, and they are as meaningful or as meaningless as the time it takes to create them. With the proliferation of social media and online networks, the profile pic presents a new platform for the artist concerned with the representation of his, her, or someone else’s likeness. Meticulously staging oneself in a bathroom mirror; striking a pose with drunk friends at a bar; earnestly attempting irony through shadows, silhouettes, or a favorite pet; each of these is an accidental allegory for a larger social malaise and alienation in the virtual photo albums that we carefully create in our online shrines to self. Hope to see you all there. 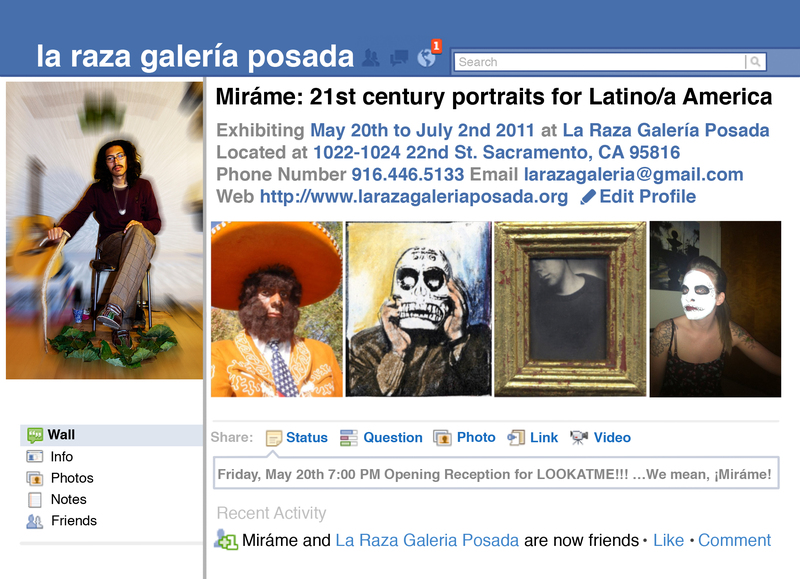 I’m super excited to be making inroads into the most gate-kept Chicano art city on Earth. Sacramento here I come!